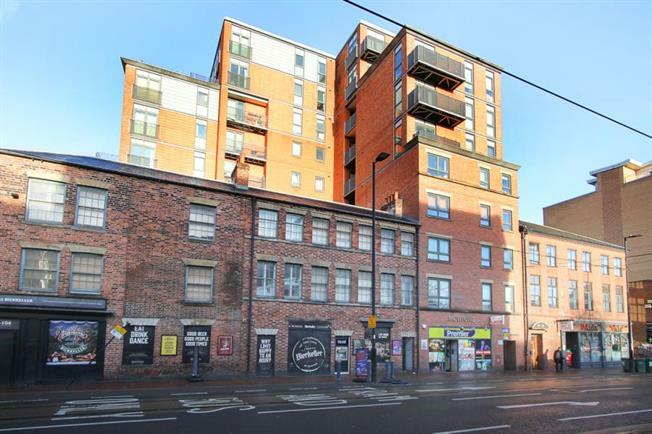 Offered for sale is this one bedroom apartment in the Morton Works Complex. Currently being offered with sitting tenant however vacant possession could be available if desired, if you're looking for City living this is certainly the place to start! This property is located on West Street, home to many bars, restaurants, amenities and numerous transport links. The apartment benefits from laminate flooring, clearly defined kitchen space, two double bedrooms, balcony, intercom and secure building entrance. If you're looking to take your first step onto the property ladder this could be the perfect place to start! For you investors out there, the current rental income is 575 per month, making this a great property to add to your portfolio! Viewing is highly recommended. Apartment briefly comprises of; Entrance hallway, Lounge / Dining room, Kitchen, Master Bedroom and Bathroom.